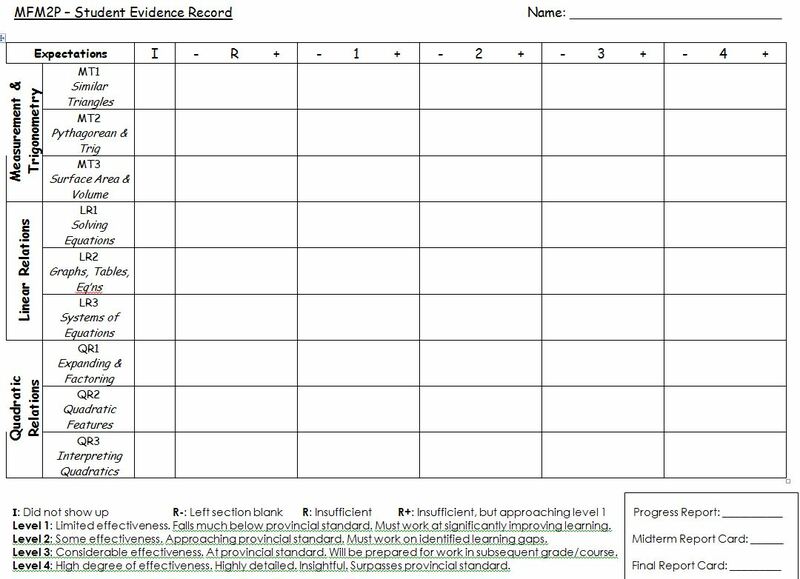 This entry was posted in Assessment & Evaluation and tagged A&E, evidence record, OCDSB, SBG by mslwheeler. Bookmark the permalink. 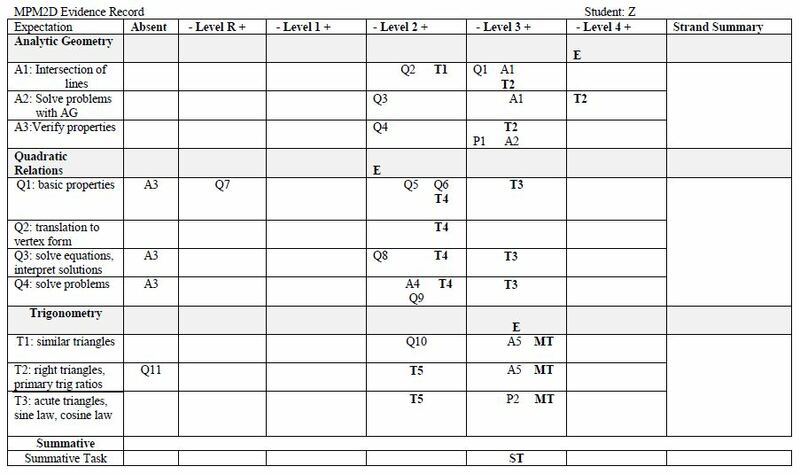 what is the rationale behind not reporting K T C A levels? Great question! I’m not sure why the switch from reporting KTCA levels to Overall Expectations. 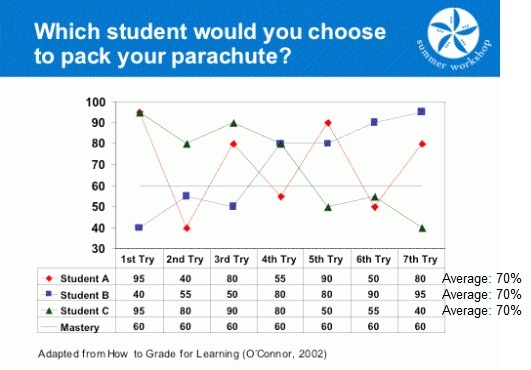 I do know that the KTCA categories still make up the rubrics we use to evaluate students by expectation. 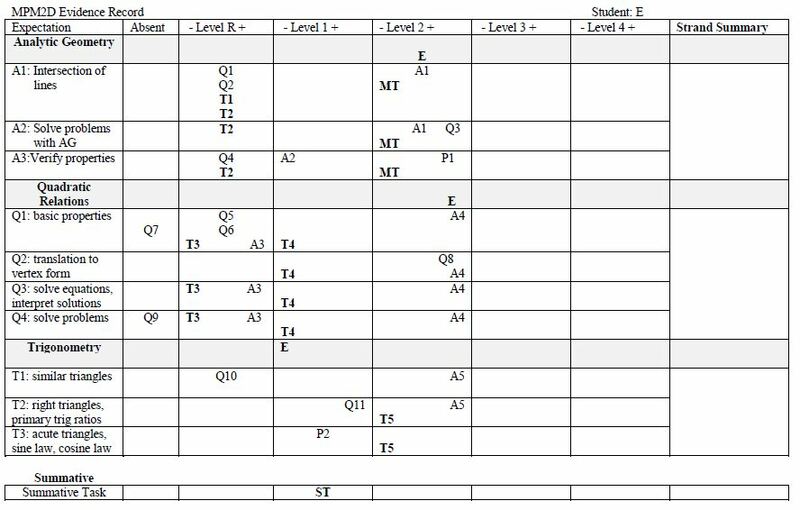 And also that I plan my evaluations to cover KTCA across all tasks. And that this policy (as outlined in Growing Success: https://www.edu.gov.on.ca/eng/policyfunding/growsuccess.pdf) uses a standards-based grading (SBG) framework where the standards are set out by the curriculum expectations. Hi, I stumbled across your blog while I was doing a search for Records of Evidence. This is an amazing post. I am looking for ROE for English and was wondering if you have any recommendations where to look. I was also wondering what the software is called that is screenshot and has “Evidence by Class” at the top? Thank you! Are you with OCDSB Lori? Ours is a program put out by our board called MaMa for Marks Manager. It’s proprietary to the OCDSB. But send me an email at Laura.wheeler@ocdsb.ca and I can probably send you some English evidence records. Which courses? I just saw that it is called Marks Manager. Is this the one https://essentialskills.com/content/marks-manager-0 ? Hello! I am with OCSB. 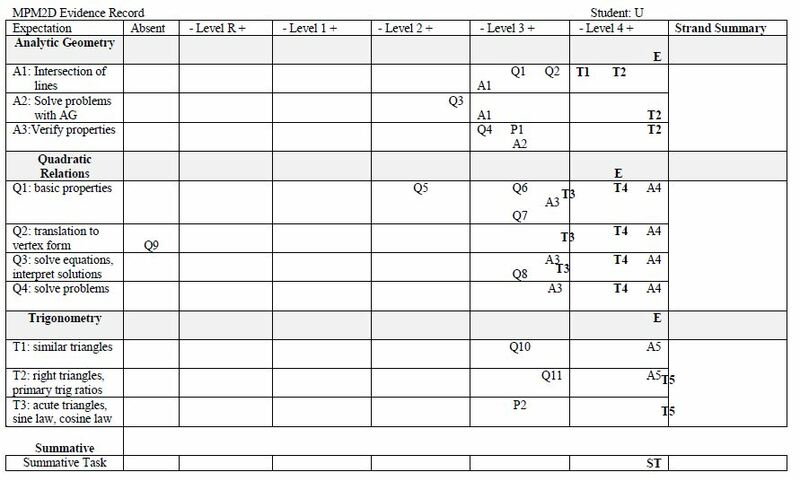 We use Powerteacher and the Gradebook that comes with it allows us to track by Overall Expectation, but I find it cumbersome and I really like the Evidence Records. Ok..so the program you use is created exclusively for OCDSB? Darn! I really like it. I would love if you could send me some English ones. Thank you! Hello! I am with OCSB. 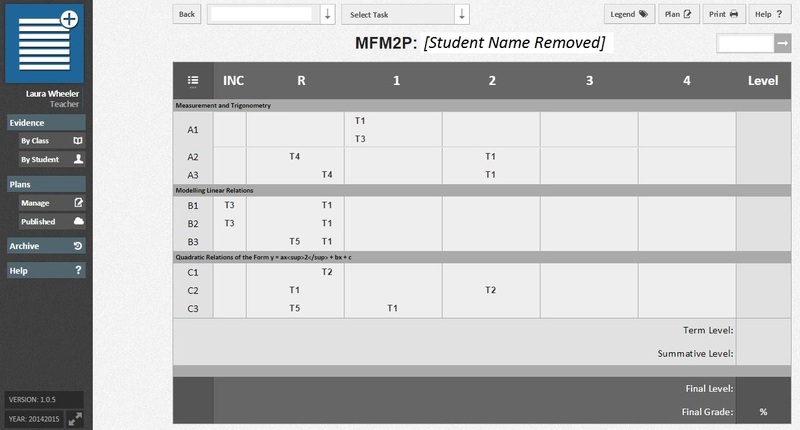 We use Powerteacher and the Gradebook that comes with it allows us to track by Overall Expectation, but I find it cumbersome and I really like the Evidence Records. Ok..so the program you use is created exclusively for OCDSB? Darn! I really like it. I would love if you could send me some English ones. My board email is lori.bouzane@ocsb.ca Thank you!